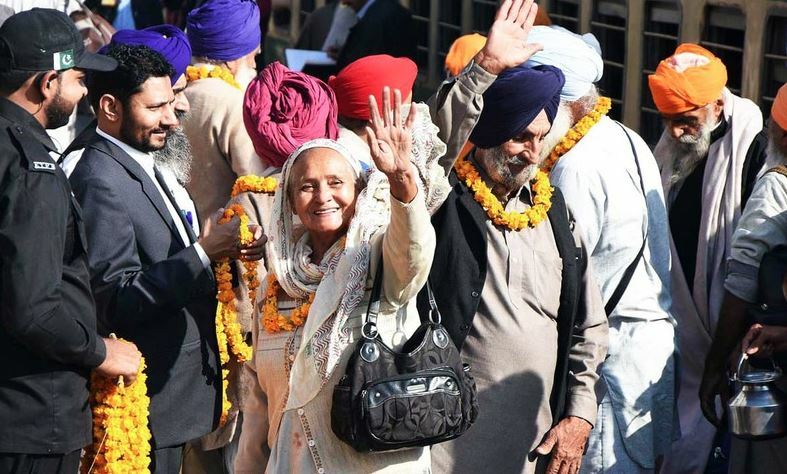 New Delhi: Over 2,200 Sikh pilgrims from India arrived in Lahore on Friday to celebrate Baisakhi at Gurdwara Panja Sahib in Hasan Abdal city of Pakistan’s Punjab province. The ETPB looks after the holy places of the Sikhs, which form a minority community in Pakistan. “A total 2,206 Sikh pilgrims have arrived here from India on two special trains. After immigration they left for Gurdwara Punja Sahib in Hasan Abdal in Attock district, about 40 km from Rawalpindi,” ETPB spokesman Amir Hashmi told news agency PTI. Baisakhi is celebrated to mark the beginning of a new harvest season. Every year, a large number of Sikh pilgrims from India visit Pakistan to observe various religious festivals and occasions.